Hoo boy, did it take me a while to get through the ghost slave baby book. And that is an abridgment I bestow with respect, not derision, because I can't imagine many writers having the literary prowess to pull off a novel about a slain infant coming back to life to haunt her murderous mother. Far-fetched, phantasmal, gruesome, and incredibly poetic, Beloved visits the horrors of slavery only in flashbacks and memories. But these scenes taking the reader back to "Sweet Home" plantation (and its related locations) are so nightmarish, they overshadow the baby-haunting plot line for sheer horror. I didn't love this book; I was too disturbed by it to love it. But that's probably the point, and if so, kudos to Morrison for driving that point unflinchingly, unforgivingly home. So perhaps unsurprisingly, the passage I liked best comes from the final pages, when the heartbreaking story is all but finished. Paul D and Sethe, two former slaves who've bonded through the brutality of their shared background, are feeling their way through a rekindled relationship. Sethe has once again lost her daughter (an unsettled ghost who'd returned for a while, in human form, to visit the mother who'd killed her); Paul D is coming to terms with his role in Sethe's life, and his mixed emotions about her. He is staring at the quilt but he is thinking about her wrought-iron back; the delicious mouth still puffy at the corner from Ella’s fist. The mean black eyes. The wet dress steaming before the fire. Her tenderness about his neck jewelry—its three wands, like attentive baby rattlers, curving two feet into the air. How she never mentioned or looked at it, so he did not have to feel the shame of being collared like a beast. Only this woman Sethe could have left him his manhood like that. He wants to put his story next to hers. What is the significance of water in Beloved's story? Consider her rebirth from the pond (and her thirst afterward), how Sethe's "water broke" that day, the afternoon ice-skating, etc. Explore some possible reasons for Baby Sugg's fascination with color. 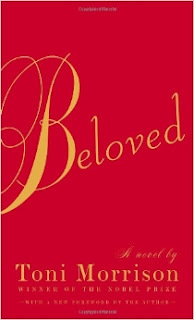 Each of Beloved's characters experiences some shift of perspective over the course of the novel. Choose one to discuss. Was the shift caused by the passage of time alone, or was there some notable event/watershed moment that lent to it? 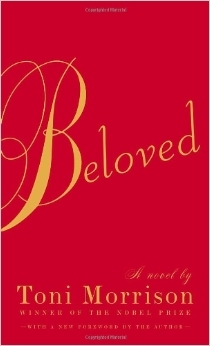 Discuss the nature of Beloved and Sethe's relationship. Is it symbiotic? Parasitic? Healing or toxic - or both? Discuss the theme of justice in Beloved, and the many forms it takes (retribution, karmic balance...).